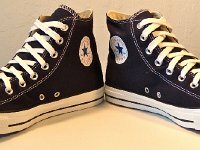 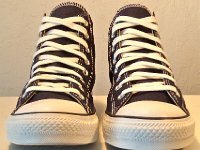 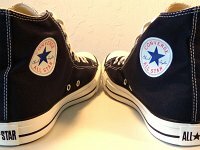 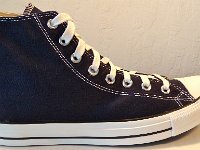 Photo gallery of dress blues high top chucks, a seasonal issue from 2011-12. 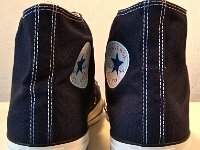 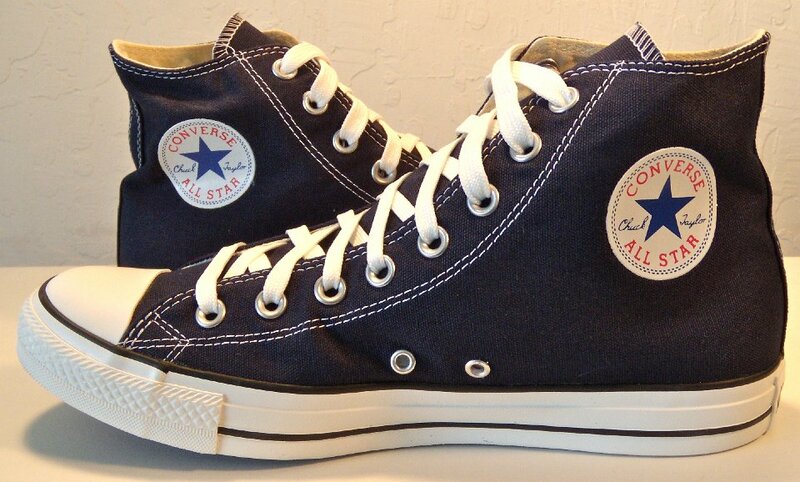 1 Dress Blues High Top Chucks Inside patch view of a right dress blue high top chuck. 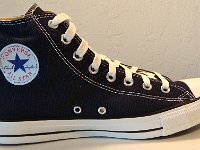 2 Dress Blues High Top Chucks Outside view of a right dress blue high top chuck. 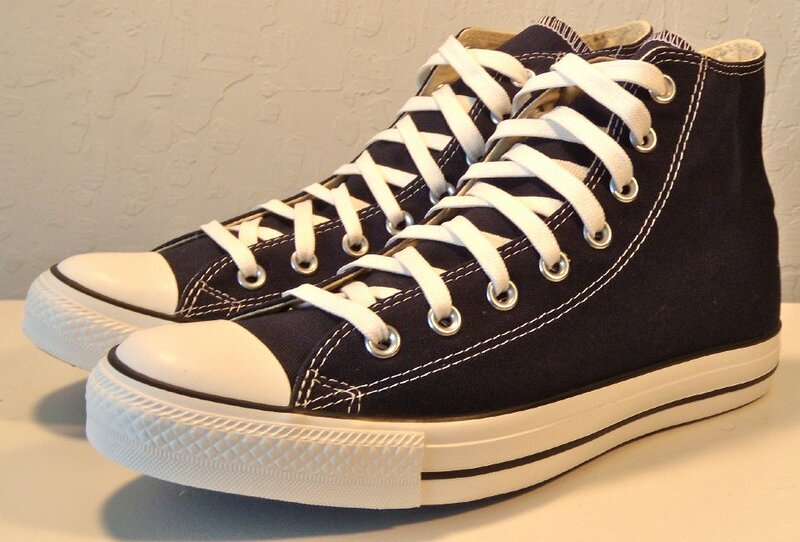 3 Dress Blues High Top Chucks Inside patch view of a left dress blue high top chuck. 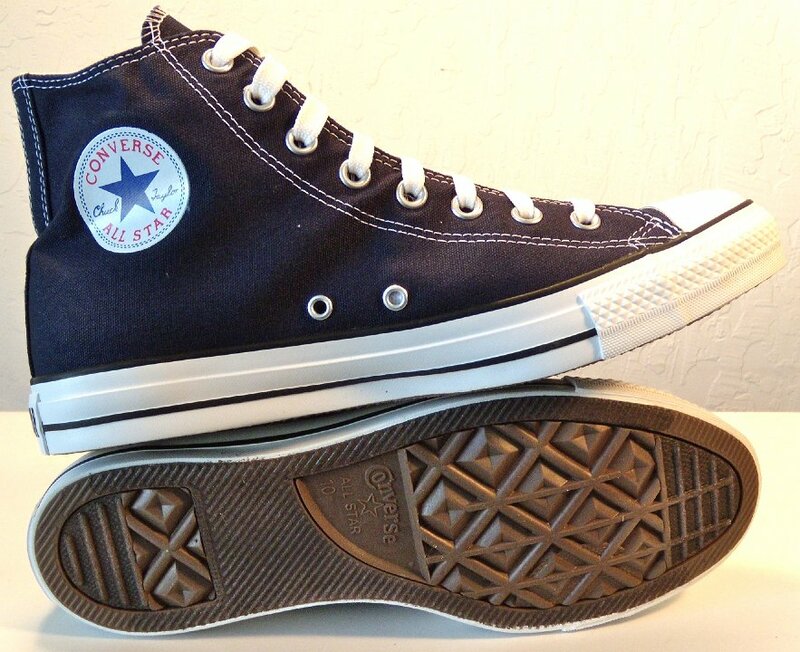 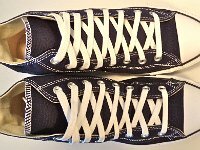 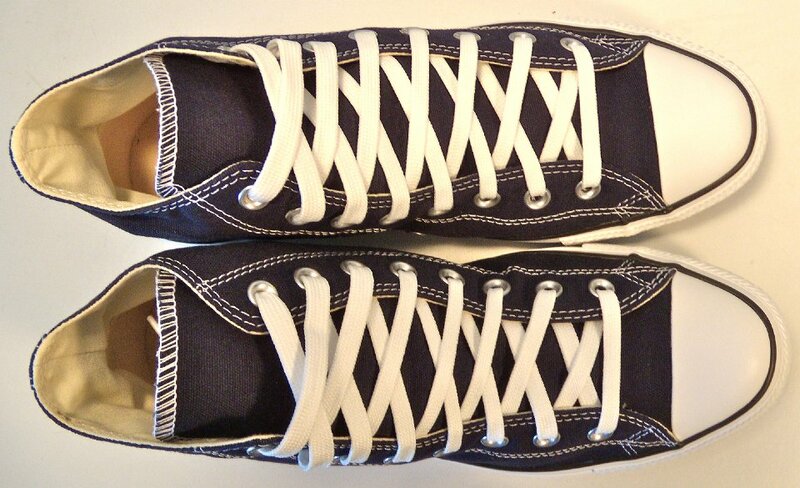 4 Dress Blues High Top Chucks Outside view of a left dress blue high top chuck. 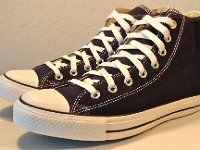 5 Dress Blues High Top Chucks Rear view of dress blue high top chucks. 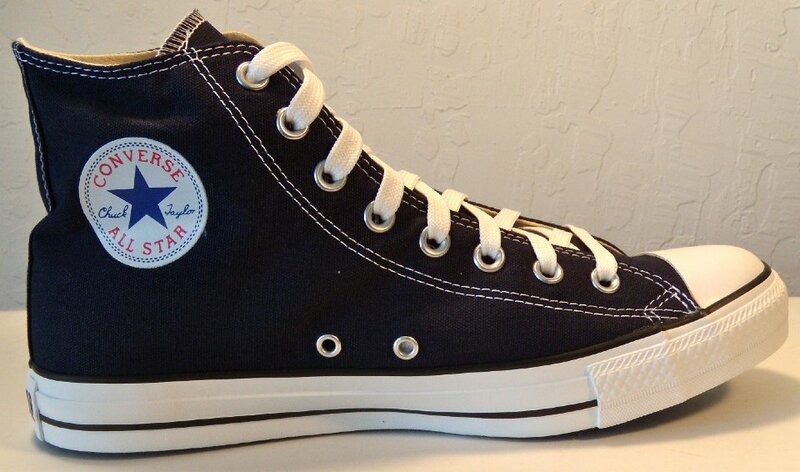 6 Dress Blues High Top Chucks Angled rear view of dress blue high top chucks. 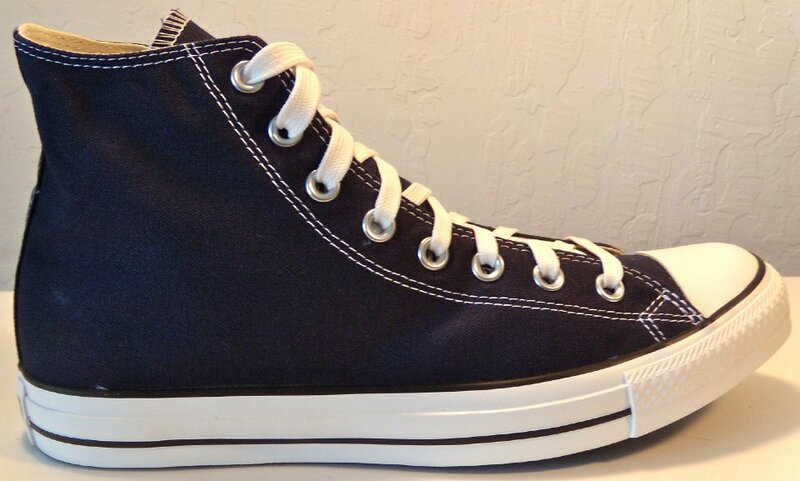 7 Dress Blues High Top Chucks Angled side view of dress blue high top chucks. 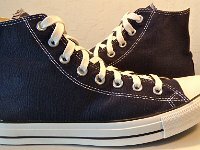 8 Dress Blues High Top Chucks Front view of dress blue high top chucks. 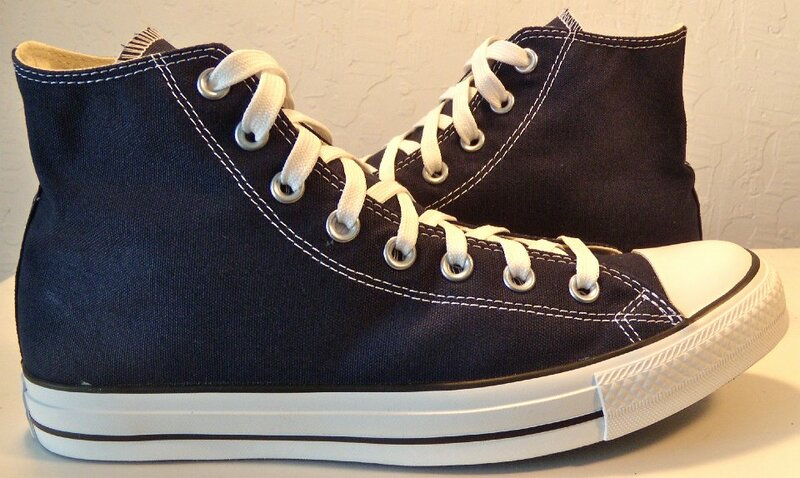 9 Dress Blues High Top Chucks Angled front view of dress blue high top chucks. 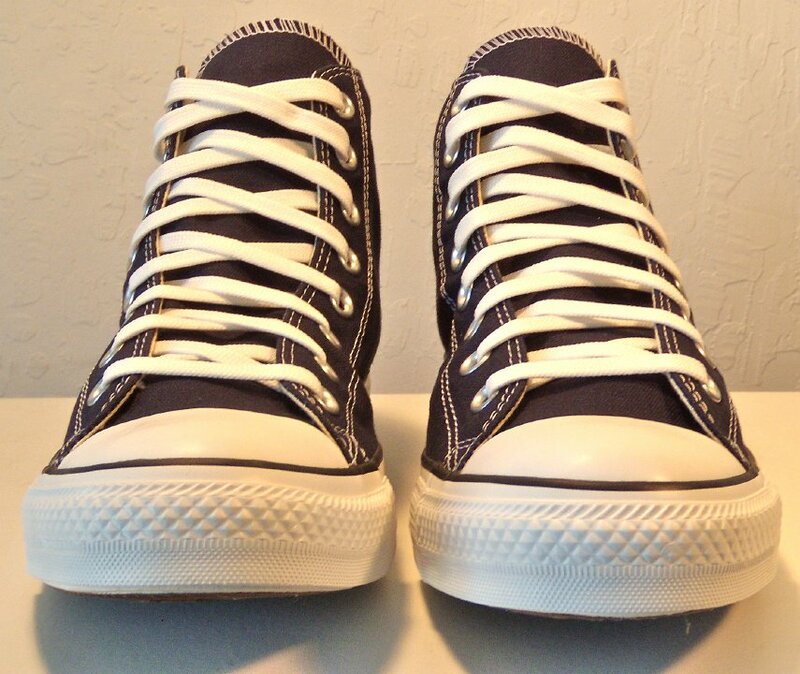 10 Dress Blues High Top Chucks Top view of dress blue high top chucks. 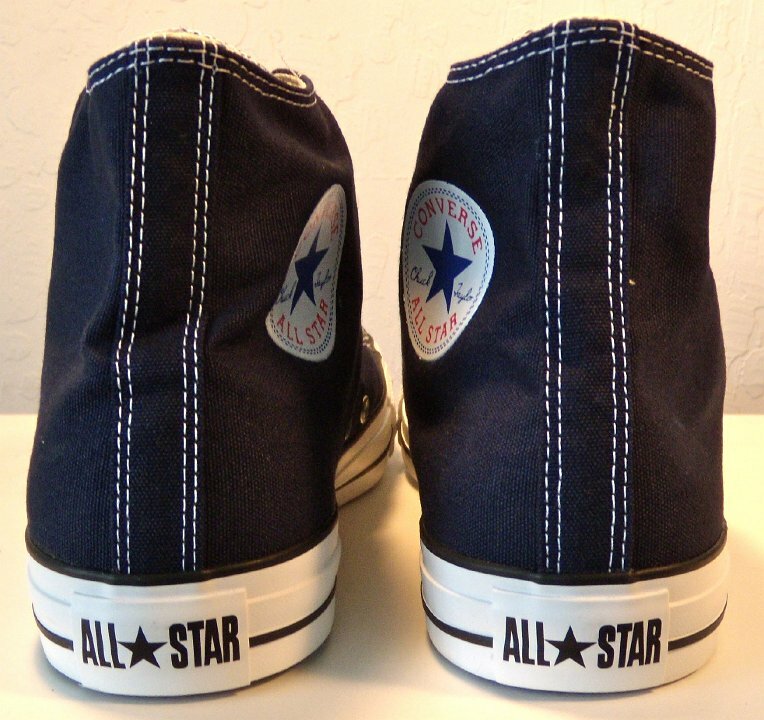 11 Dress Blues High Top Chucks inside patch views of dress blue high top chucks. 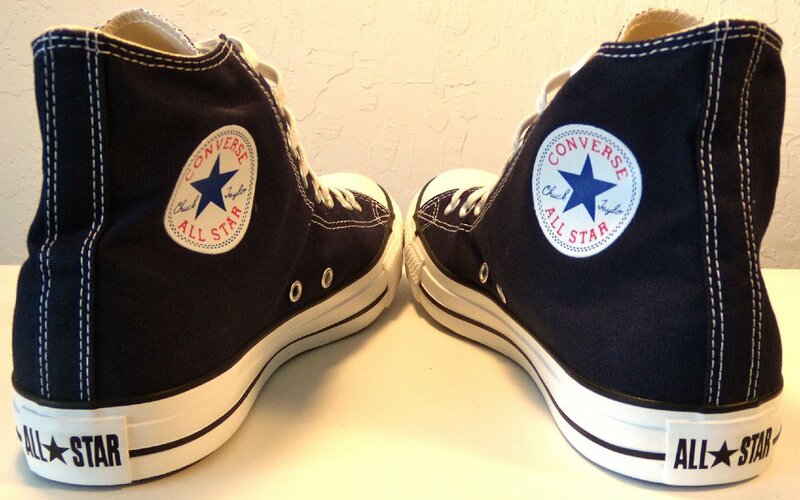 12 Dress Blues High Top Chucks Outside views of dress blue high top chucks. 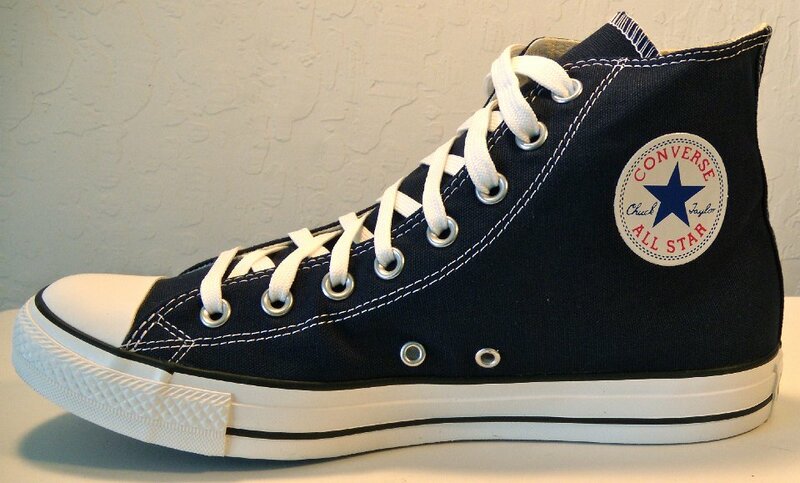 13 Dress Blues High Top Chucks inside patch and sole views of dress blue high top chucks. 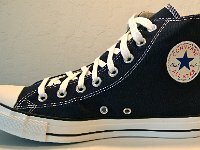 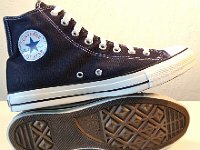 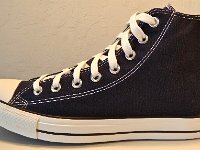 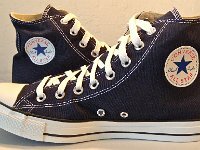 Dress Blues high top chucks are a dark blue seasonal issue that were popular and remade the next season. 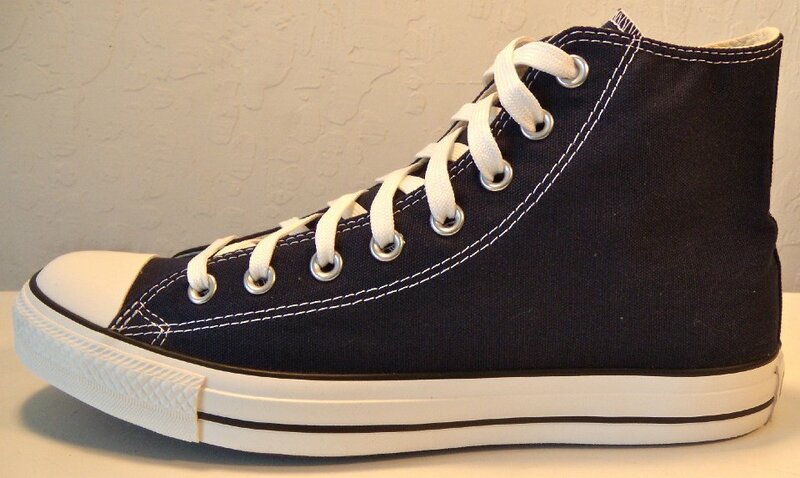 They came in high tops as pictured here, and in low cut oxford.